Tapping the increase in opportunity and demand from Indian professionals with 4-5 years work experience who are too old for the conventional CAT based MBA in India, almost all top B-schools in India have started offering one-year executive MBA option. In the mid 90's, if you didn't get into an MBA college after graduation, then your dreams of doing an MBA would turn into a nightmare. Of course, you had the option of doing Management Development Program (MDP) in one of these schools to get the basic education in management. This trend gradually changed, when ISB launched its one-year program for Indian mid-career professionals. Now there was a huge window of opportunity that had opened up to professionals who had ‘missed the MBA boat’ after graduation and now had more than four years of experience. The Executive one-year MBA program now gave them both, the management perspective required to excel at work as well as the credentials of an MBA needed for career progression. Realising the market opportunity and demand from Indian professionals with 4-5 years work experience who are too old for the conventional CAT based MBA in India, almost all top B-schools in India started offering a one-year executive MBA option. Some of the leading Institutes offering one year GMAT MBA programs in India include ISB, IIMA PGPX, IIMB EPGP, IIMC PGPEX, XLRI GMP and SP Jain GMBA to name a few. As all programs require a GMAT score for admission, the applicant has the flexibility to take the test any time of the year.Also, as the GMAT scores are valid for five years, the applicant can apply even with test scores from the previous years. So, today there are over 50,000 applicants with a valid GMAT score i.e. taken in the last few years. Hence, the supply-demand scenario seems to be in equilibrium. There are four fundamental reasons why many Indians in the mid-20s and early-30s are looking for one-year full-time executive MBA program. Most people take up career decisions very early in their life without having sufficient knowledge about various career options. A software developer might realise that he loves product management more than coding. A one-year executive MBA provides the perfect avenue to make such career alterations. It gives you the necessary tools and frameworks to equip yourself for a new career using your existing skills and experience. An individual might be good at his/her work, but to get that jump from middle management to top management, most companies need an MBA degree. Even most people who try to make a shift top startup position to a similar role in bigger MNC's are held back due to their lack of an MBA degree. An Executive MBA provides perfect opportunity to move into job positions you wouldn't be able to otherwise, and also provide you with necessary skills to start your own business. After few years of experience, and a couple of companies under your belt, you start to realise that the next job is not going to come from WHAT you know, but rather WHO you know. People have begun to understand the importance of creating such a personal network – one that gives them a foot in the door to excellent opportunities that don't get advertised visibly. During your executive MBA course, you will have the chance to meet and build relationships with some of the best minds in the country and also have access to Alumni directories and city-wise chapters. 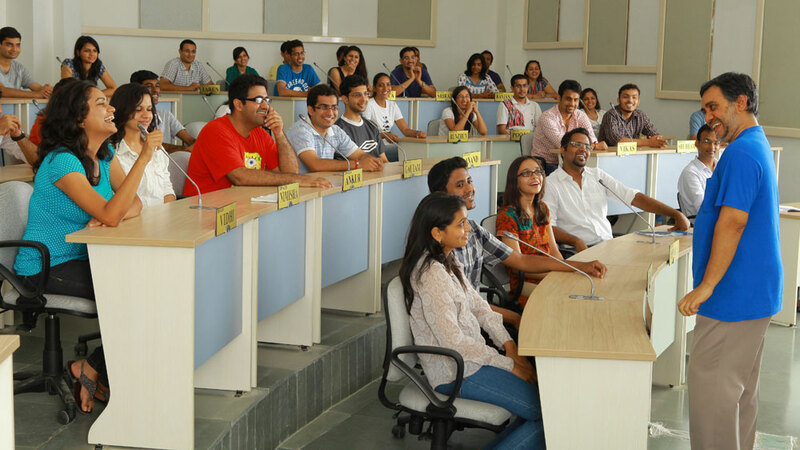 In an MBA, you will learn from the top faculty, but the biggest learning you will get will be from your classmates. Most of such one-year programs would require you to work with a diverse team for all project work, where you’d have to debate and argue your perspective. Getting exposed to multiple voices and thought processes round the clock for one straight year can do a lot more good to you than you can imagine. Also unlike a standard two-year MBA, the one-year MBA program has people who have worked enough years to understand and appreciate the differences in points of view.